Mark has 25 years of experience as a financial services and executive benefits professional who empowers business owners, high net worth employees, independent professionals, top tier executives and retirees as they work to achieve financial independence. He specializes in programs for business owners and their key employees. Mark chose Renaissance Financial because he was drawn to the depth of resources and the team environment, which allows him to best serve his clients. A graduate of University of Missouri–Columbia, Mark earned his BS in accounting before going on to the Advanced Management Program at the University of North Carolina at Chapel Hill. In addition to being a Certified Public Accountant (CPA) and a CERTIFIED FINANCIAL PLANNER™ (CFP®), he has attained his FINRA Series 7, 24, 63 and 65 registrations and Life, Accident, and Health Agent license. 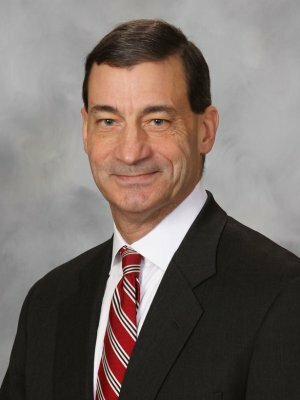 Mark was a Principal at Compensation Management, Inc., then served as Senior VP with Aon Hewitt’s Executive Benefits Practice. Mark was named a member of the Foundation Club* by Securian Financial Services Inc. for 2016 and for his exceptional work at Renaissance Financial, Mark was given the Excellence in Performance Award* for 2015, 2016 and 2017. He also received the Diamond Advisor Award* and achieved Platinum Advisor* status at Renaissance for 2017. Mark does not provide specific tax/legal advice and this information should not be considered as such. A Registered Representative and Investment Advisor Representative with Securian Financial Services, Inc. Member FINRA/ SIPC.